Joaquin Turina is one of Spain’s foremost romantic composers, receiving his rightful stature next to the giants Albeniz and Granados. 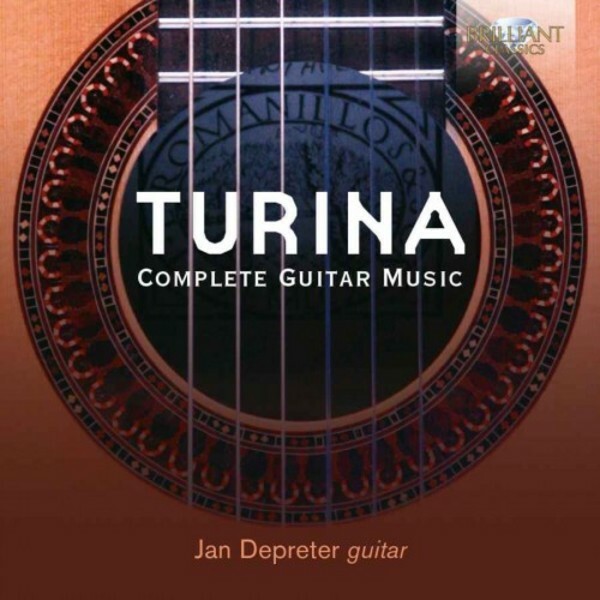 Turina left a small but important oeuvre of works written for solo guitar, which is issued on this new recording. Scenic, highly atmospheric and imbued with the smells and sounds of his native Spain: a treat for the guitar aficionado and lover of romantic music! Theses are excellent performance by the leading guitarist of Belgium, Jan Depreter, winner of many international guitar competitions and founder and artistic leader of the prestigious Antwerp Guitar Festival.